The Greek, who turns 20 on Sunday, will aim for the title against either top seed Rafael Nadal or Russian Karen Khachanov after saving a match point against Anderson. 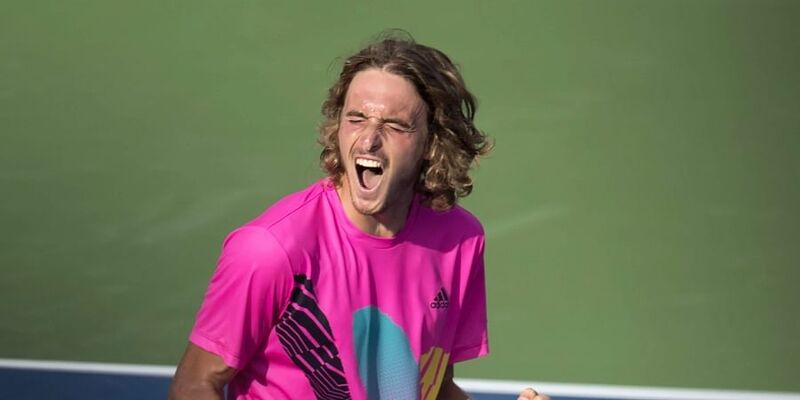 TORONTO: Teenager Stefanos Tsitsipas outlasted Wimbledon finalist Kevin Anderson on Saturday, winning 6-7 (4/7), 6-4, 7-6 (9/7) to reach the final of the Toronto Masters. "I can't think of a better way to celebrate my birthday than playing a Masters 1000 final," the winner said. "It's all unbelievable. I would have probably never thought this could happen so fast. "I've really improved my game a lot. A year ago I was playing a Challenger in Slovenia." Tsitsipas will be playing his second ATP final after losing to Nadal on clay in Barcelona in the spring. The youngster who beat second seed Alexander Zverev in the quarter-finals after also accounting for Dominic Thiem and Novak Djokovic in earlier rounds, advanced on his third match point. The outcome was decided in a tight third-set tiebreaker, with Tsitsipas blowing his first two winning chances with a double-fault and a forehand error. The winner saved all four break points he faced while breaking Anderson once in the afternoon struggle. Victory assured Tsitsipas the 15th ranking after starting this week on 27th.